FarmEats 100% Grass Fed Beef Braised Short Ribs! The other day, it was another spring rainy kind of day, and I was thinking we haven't had grass fed beef ribs in a while. So, we set out our FarmEats grass fed beef ribs to defrost overnight. I usually end up starting the long slow and low braising process too late, and then wind up serving dinner at 10pm at night! This time I started at about 11am, and preheated the oven to 285, browned the ribs on the stove top in a heavy oven pot, then slowly poured in some beef stock and bone broth, until the ribs were just about submerged. Then I carefully put the heavy oven pot into the oven. I checked the ribs every hour, turning them over, and after about 5- 6 hours the tender succulent meat was falling off the bone, and the fat was melting into the gravy! At this point I shut the oven off, and prepared some sautéed kale and potato fries. Plated everything and set dinner out. Oh yeah those ribs were so nice! You can email Drew at info@FarmEats.com to reserve some ribs, and/or can buy online at www.farmeats.com/shop/ and we will deliver it to you! One of the country's best butchers explains the bland burger phenomenon—and offers some tips on how you can make a better one your damn self. Ben Turley is the co-owner of The Meat Hook, a whole animal butcher shop in Brooklyn that specializes in grass-fed, grass-finished beef from local farms, and the culinary partner at Three’s Brewing—and he has some very strong feelings about the state of the hamburger today. In short, he's bored with most burgers, and it has everything to do with the meat between the buns. Here, Turley explains his, um, beef with the modern burger industrial complex. Better yet, he has a few tips on how to make yourself a better burger. Prepare to win the summer. Burger "reviews" usually upset me, because when most people talk about a burger, they’re not actually talking about the burger itself. They’re talking about the cooking technique, the toppings, and the bun. But they don’t talk about the single most expensive product on the plate, with the biggest environmental footprint, and the thing that a restaurant is potentially building their reputation on, which is the meat. The only comment about the meat is whether it’s juicy—but honestly, if a kitchen knows anything at all about what they’re doing, your burger will be juicy. No one asks about transparency or sourcing on a burger with remotely the same gravitas they use to speak to, say, produce from local farms. People rarely call out where their burger comes from, because they usually don’t know. Sometimes you see a supplier name (like La Frieda), but that doesn’t tell you much about where the meat actually comes from. The truth is that most burgers taste the same because nearly 85 percent of the beef market is owned by the same four companies, whose entire business model is built on monopolizing the market, driving prices down, and squeezing farmers to feel the effect of their management while they control the consumer dollar. So 85 percent of the distributors, retailers, and chefs are getting the exact same commodity beef. On an environmental level, this beef is the most damaging agricultural commodity, and on a consumer level, commodity beef is filled with stuff that cows don’t naturally eat: corn, soy, sugars, and more that give it an unnaturally sweet flavor. Remember the picture of red Skittles raining down a highway a few months ago? Those defective Skittles were on their way to a factory farm to be used as feed for cattle. This is where we’re at, ethically, with the beef industry. On top of that, almost all burgers made from commodity beef are coming from the same cuts, which are usually trim and trash that aren’t otherwise marketable. The only way to make burgers made from this beef taste different is through cooking technique (i.e. a flat top versus a grill), toppings, and buns. Yes, you can add some flavor with wet or dry aging, but the real problem is that most people are working with a product that has so little distinguishable flavor of its own. And sure, you might be able to get some people believing in the quality of a burger because there’s a fancy chef cooking it. But it really all comes down to the raw materials. And we can do better. The flavor difference between commodity beef and beef that’s been grass-fed and grass-finished is truly night and day. Grass-fed beef makes beef taste more like itself—it’s more savory and more meaty, and that artificial sweetness from grain feed is totally gone. Honestly, the best way to improve your burger game at home is to develop a relationship with someone who knows where their meat comes from. It could be a butcher, a farmer, or a grocer that can answer your questions. You want to buy meat from cows that lived outside and ate grass their whole life. That’s it. That’s the most important thing. The market is growing by a healthy margin every year. You can find this near you. You don't have to live in a large city on the coast. I buy this stuff in Ohio when I visit my parents. Grass-fed meat has less intramuscular fat, so it’s best to cook it medium-rare so it stays juicy. At home, use a heavy-bottomed pan. But hey, if you like to grill, then grill! Just don't put the burger directly over the flames—you'll just taste char. Cook it over lower heat, so you get the grill flavor without the grill dominating. When you start working with better beef, it changes the way you think about a burger, and how you eat it. You should put whatever you like on a burger on your burger, but I just do salt, pickle, and onion. I think about the farmer who raised this cow in a field for 32 months, then drove it to the slaughterhouse at 3 A.M., and I appreciate the work that went into getting this burger onto my plate. You don’t need to drown your burger in a ton of condiments after that. 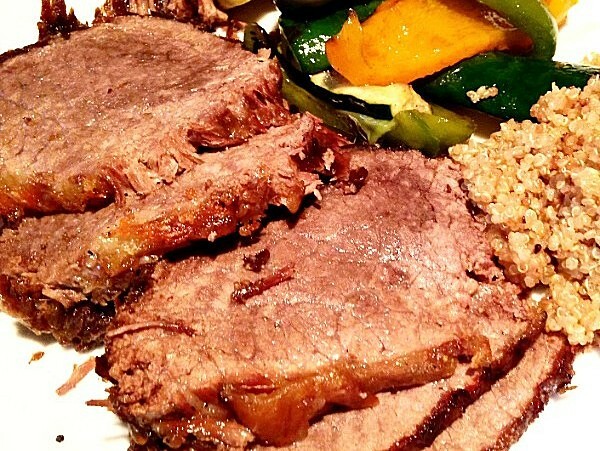 FarmEats Holiday Grass Fed Beef Roasts! Prime Rib Roast, Brisket, and Bottom Round Pot Roast! FarmEats Holiday Grass Fed Beef Roasts! Perfect for the holidays! Whether you have a small intimate family gathering or everyone from Uncle Chris to Grandma Donnie, FarmEats grass fed beef roasts are sure to be a hit! Can use the old-timey family recipe for pot roast or brisket handed down from generation to generation, always a safe bet! Or can check out a few online recipes and compare them. or on Sunday April 9th at The Souk Market in Piermont NY 11am to 3pm! To ensure that we have what you need; please email Drew at info@FarmEats.com to reserve a roast, and/or can buy online at www.farmeats.com/shop and we will deliver it to you! FarmEats Grass Fed Beef Sandwich Steak Pizza! We take our FarmEats 20 second grass fed beef sandwich steaks, cut them into strips, put them on our oiled cast iron pan on the stove top for 10 seconds per side, add in some of our favorite tomato sauce, then sauté until hot. Next grate over fresh mozzarella, cheddar, and/or jack cheese, and we have FarmEats Sandwich Steak Pizza! Very quick and easy low carbohydrate meal! Another nice idea is to heat up your favorite ciabatta or Tuscan bread and serve the FarmEats Sandwich Steak Pizza right on top! In grass fed beef Tags grass fed beef, grass fed beef sandwich steak pizza! FarmEats Irish Grass Fed Beef Stew! Nothing like a nice warm rich beefy stew for these colder days and nights. With St Patricks day coming up, nothing like an Irish Grass Fed Beef Stew! What makes a beef stew an Irish Beef Stew? Seems to be the addition of dark porter or stout beer- Guinness for example, Captain Lawrence makes a nice Smoked Porter! As well as 100% grass fed beef, since in Ireland that is all there is -none of that feedlot, grain fed nonsense! We like to keep it simple, and love cooking stew slow and low! Simmering on the stove top or burbling away in a Dutch oven, at 285 degrees, for hours, stirring every hour or so. Start out with 2 or 3 pounds of FarmEats 100% grass fed stew beef (1 inch cubed chuck roast) put it into a stock pot or Dutch oven, add in a couple of diced onions and garlic, add in a cup or so beef/chicken stock, stir and let simmer a bit. Next up, slowly pour in a can or bottle of stout or porter stir in and let simmer on the stove top, or put the Dutch oven, covered into the oven for about 1 hour, then stir it a bit, cook another hour. In the mean time, cube up some root vegetables and potatoes, and then add them into the pot, along with fresh (or dried) spices; thyme, basil, parsley, oregano, ground pepper, and salt. We like our Irish beef stew nice and thick- so you can add a bit more or less porter depending on how nice and thick and rich you like your stew. Check again, and stir a bit, everything is ready when the beef is fork tender and the vegetables are al dente! FarmEats at The Souk! 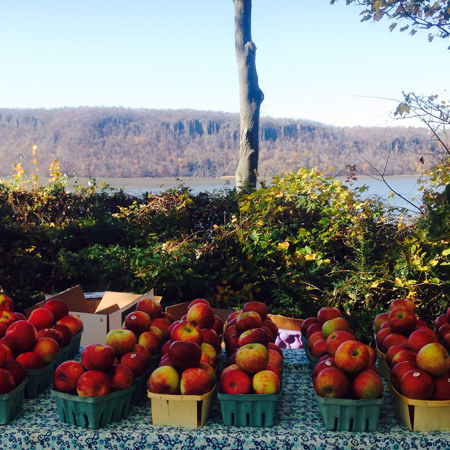 Over in Piermont NY, an exciting, indoor farmers market every Sunday throughout the winter! We are always on the lookout for something fun, easy, delicious and nutritious! Marti Wolfson was so generous to share her latest recipe with FarmEats! This zesty and crunchy dish is a healthy change to the usual taco, with the zesty; ginger, lime, and cilantro, complementing the crunchy green and purple cabbage! Then adding the savory chili, cumin and spicy cayenne to FarmEats ground beef brings it all together! Served with rice and on a taco makes for a nice and easy meal. Bring the rice, water and a generous pinch of salt to boil in a medium pot. Cover, reduce the heat and cook for about 40 minutes or until the water is completely absorbed. While the rice is cooking, combine the cabbages and carrot in a medium bowl. Whisk together the ginger, lime juice, apple cider vinegar, a healthy pinch of sea salt, and ground pepper. Keep whisking while slowly pouring in the olive oil and stir until emulsified. Pour the dressing over the slaw and mix together with hands or tongs. Fold in the cilantro and set aside. Heat a large saute pan on medium heat. Add the onion with a pinch of salt and sweat the onions for 5 minutes. Add the beef to the onions. Immediately add the spices with another generous pinch of salt. Using a wooden spoon, break up the meat and saute it with the onions and spices until all of the meat is browned. Marti Wolfson is a certified health-supportive chef and nutrition educator in Westchester, NY. She specializes in food therapy, Functional Medicine, and mindfulness practice for preventing and healing chronic illness. 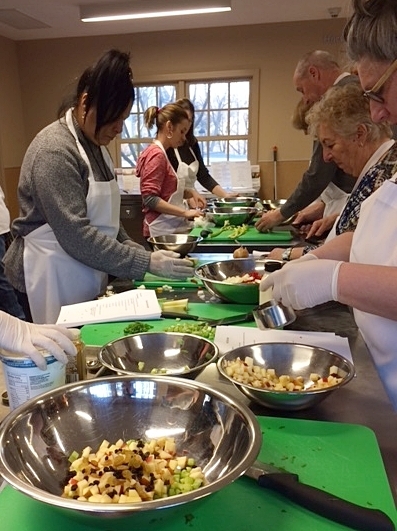 She offers private culinary nutrition consultations, cooking classes, continuing education, corporate wellness lectures, and workshops. She teaches for the Natural Gourmet Institute, Center for Mind-Body Medicine, and Maryland University of Integrative Health. Marti has a Masters in Nutrition and Functional Medicine from the University of Western States. FarmEats is excited to be a vendor over at The Souk Winter Farmers Market! Every Sunday 11am to 3pm, January 8th to April 9th! We will bring along our; grass fed beef; osso buco, short ribs, "pulled beef" pot roast, ribeye, porterhouse, and strip steaks, pasture raised pork; chops, bacon, 4 kinds of artisanal sausage, as well as our pasture raised chicken; whole, half, and parts! The Souk; An indoor epicurean upmarket from farm fare to fresh baked, traditional to exotic, and savory to indulgent, served in the lively communal tradition of the ancient markets curated to transport you into the throes of delight. FarmEats is excited to be a vendor at the December Chappaqua Farmers Market. We will bring our 100% local NY grass fed pasture raised beef; steaks- ribeye, porterhouse, strip, sirloin, sandwich steaks, brisket, pot roast, stew beef, osso buco, short ribs, and "Best Burgers Ever"! Always an exciting mix of vendors from 100% grass fed and finished beef, organic veggies, fresh local baked breads, pork, eggs, chicken, Joe mozzarella, Bronx pretzels, herbs, yogurt, empanadas, coffee, and more! FarmEats is excited to be a vendor at the December Hastings Farmers Market! We will bring our 100% NY grass fed pasture raised beef. FarmEats is excited to be selling our 100% grass fed beef, pastured pork and chickens at the Historic Downtown Jersey City Farmers Market! The Historic Downtown Farmers’ Market began in 2008 with less than 10 vendors and has exploded into a phenomenal market with over 25 vendors serving up tasty treats from grass fed beef, fresh fruits and vegetables to freshly baked empanadas to homemade mozzarella. We were up at the Sweet Tree Farm and looked in on the cows, pigs, and chickens! The pasture is nice and lush with long grasses, and the red and white clover and diversity of grasses that the Sweet Tree Farm animals eat, makes the difference in the flavors of the 100% grass fed beef. The terroir of Sweet Tree Farm affects the taste of the meat of the farm animals. Like a fine wine, the quality of; the grasses, climate, soil, terrain, and knowing the right time to "harvest" the animals is the key to the fine quality of Sweet Tree Farm animals. Farmer Frank Johnson, has been cultivating his land for decades and utilizing sustainable farming methods to ensure healthy, humanely raised farm animals. FarmEats beef chorizo on the DoughNation Irvington Farmers market pizza! FarmEats was honored to have our 100% grass fed beef chorizo on the DoughNation Irvington Farmers Market Pizza at the market today- Sunday August 7th! DoughNation's Farmers Market Pizza was a nicely cooked thin crust personal pizza, with FarmEats beef chorizo, and farmers market; corn, basil, and cherry tomato toppings, on a bed of fresh ricotta cheese, all baked in a wood fired oven on the DoughNation Pizza truck! FarmEats Grass Fed Beef Chorizo Sausage! 100% Grass Fed Beef Chorizo! Our Chorizo is Mexican style, which is fresh, uncooked, uncased spicy beef sausage. So you can form it into; burger patties/hotdogs/kofte for the grill, meat balls for pizza or pasta, or crumble the chorizo into a pan and sear it for tacos, enchiladas, also, sauté with fresh veggies, and paella. If there is any left over, goes very nicely for breakfast, stir fried with eggs and toast, so many options! The chorizo is mixed at my USDA inspected butcher, the Double L ranch, and Lowell uses; no artificial preservatives/ingredients, or funky stuff! The cayenne pepper makes the chorizo nice and hot and spicy, perfect for these hot summer time days and nights! Go to FarmEats.com/shop to buy now! Pascale La Draoulec breaks down 10-plus ways to ensure a first-rate seasonal-shopping experience. Pascale La Draoulec is one of Westchester’s most sought-after farmers' market experts. Over the last nine years, she has assumed management of the Irvington, Hastings, and Chappaqua outposts, and this year she started running Bronxville’s popular Saturday-morning market. Before entering the county's outdoor-bazaar scene, La Draoulec, who grew up in Los Angeles, worked as a journalist in California, and then spent 18 years as a restaurant critic for the New York Daily News. She also published a memoir, American Pie: Slices of Life (and Pie) from America’s Back Roads, which chronicles her road trip across the country and the role of homemade American pie from coast to coast. La Draoulec sees farmers’ markets as a romantic connection to a time when food was always local and fresh, and when people had more personal, face-to-face interactions. "The market is not just about food, but about becoming the piazza, the agora," she says. "In summer especially, people are jonesing for that sort of thing." La Draoulec strives to work with vendors who use a range of growing practices (conventional, certified organic, and non-certified organic), which also provides a range of prices at her markets. Vendors come from as far as three hours away every week with their freshest seasonal items. “Sometimes the non-certified organic is more expensive because those farmers refuse to use any pesticides at all," she explains. "And the certified organic actually has some wiggle room that allows farmers to use some pesticides in certain situations." For regulars who may not need the following advice, it's still worth taking La Draoulec's fundamental concept to heart, i.e. using the market as a place to gather, meet people, and try something new. For the rest of us, her tips below are useful reminders on how to make the most of your trip to market. Know what is in season so there is no disappointment when you get there and so you are prepared with recipes and know what ingredients you need. Understand that markets sell things that are local and fresh and you might not be able to get all your ingredients there. Find the information tent and ask if there are any special vendors who are not there every week. Some vendors are only at the markets once a month and have goods you want to take advantage of while they are there. There are usually no ATMs at the market, and people often run out of money before they are done shopping. Come prepared with cash and small bills. The farmers are typically not going to have change for a one hundred dollar bill, especially not at the beginning of the day. Some markets have bags for shoppers, but not all, so don’t forget to bring a reusable one or two. You can also bring a cooler bag with you if you plan to buy meat or dairy, or just ask vendors to keep things in the cooler for you if you are going to hang out for a while. “One of the best things about markets is that you can form relationships with your vendors," La Draoulec explains. "They love to see regular shoppers and often offer them special prices or special items. Take advantage of having a conversation with the person with whom you are exchanging money. Farmers have hard lives working in fields every day. They love conversation and hearing what people do with their produce. If you made a really great eggplant Parmesan with a vendor’s eggplant and took a photo, show it to them." It's also a good idea to tell the farmer what you plan to make with their items and ask them for some tips and recipes. A farmers’ market is not a flea market. However, some people come at the end of the market and try to bargain with the farmer, assuming that anything left over will be thrown out, according to La Draoulec. But many markets do collections and make deliveries to food pantries at the end of the day, and sustainable farms use their leftovers to feed the animals. The market is an opportunity to be adventurous in your shopping. Try something new each time you go. If you don’t know how to prepare a certain item, ask the vendor. In order to make the most of your trip, you need to be present. Pay attention to all the offerings, compare prices, look for the prettiest produce, and ask questions. Markets offer an opportunity to taste and smell things, senses you can't employ while hunched over your smart phone tapping at a screen. If you see someone buying up a lot of one or two items, ask them what they cook and how. Vendors and farmers are not the only people at the market with good ideas on how to use the fresh offerings. Professional and amateur cooks take the best advantage of their markets and they have good advice too. Most markets these days use social media to get the word out about who will be selling, what is in season and special events. Take advantage of this easy way to stay connected and like your market online. And when you do post a photo of your amazing rhubarb pie, tag your vendor and your market. FarmEats is excited to be selling our 100% local NY State grass fed beef at the Chappaqua Farmers Market! FarmEats is so excited to be selling our local NY state, 100% grass fed and finished pasture raised beef at the Bronxville Farmers Market!! saturdays 8:30 a.m. - 1p.m. Historic Downtown Jersey City Farmers Market! at the Historic Downtown Jersey City Farmers Market on Thursday May 5th- Cinco De Mayo! !